Twitter is tweaking its timeline. The social media site will let people turn on a setting that lets popular tweets related to people you follow show up first in your timeline, followed by the real-time feed most people on Twitter are used to. The new option works similarly to Facebook's News Feed in that it uses an algorithm to serve up posts likely to be of interest to you. Facebook has also been making changes to its algorithm recently to try to increase visibility for the posts users want to see most. The new Twitter timeline option is a significant change for the microblogging service, although its existing "while you were away" feature also highlights tweets from the recent past. The Twittersphere exploded over the weekend on rumors that Twitter was changing its feed to look more like Facebook's. CEO Jack Dorsey was compelled to tweet that the real-time stream won't change. It's a risky move for Twitter because it threatens to infuriate many of its 320 million users who like things the way they are. But the company can't afford to stand pat with its user growth slowing dramatically and its stock price plummeting by more than 50 percent since Dorsey, the company's co-founder, returned as CEO last summer. Investors applauded Twitter for shaking things up. Its stock rose 75 cents, or 5 percent, to $15.15 in Wednesday's early afternoon trading. The change is a departure from the traditional presentation of Twitter's timeline, which has always shown tweets in reverse chronological order, with the most recent messages appearing at the top of a user's feed. Users initially will have the option to turn on the algorithmic system by going into their settings and choosing "Show me the best Tweets first." That choice began to slowly roll out to Twitter accounts Wednesday. 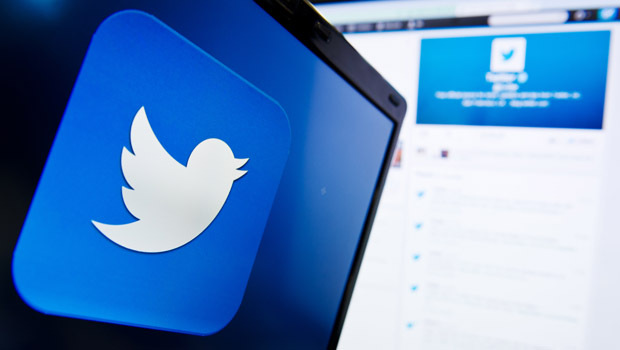 Twitter plans to automatically convert users' timelines to the new system, allowing them to turn it off if they want. The revised presentation is a spin-off of a feature called "while you were away" that Twitter introduced about a year ago. "We think this is a great way to get even more out of Twitter," Mike Jahr, senior engineering manager for the company, wrote in a blog post. Although Twitter has built one of the Internet's best-known communication networks, it has been struggling to attract new users and those who have signed up haven't stuck around for long because they found it too difficult to find content they like. During the first nine months of 2015, for instance, Twitter added 28 million users while Instagram, a photo- and video-sharing service owned by Facebook Inc., picked up more than 100 million users. Instagram now has more than 400 million users, making it larger than Twitter even though it is four years younger. Dorsey, who helped start Twitter Inc. nearly 10 years ago, is hoping the revised presentation of tweets will prove more engaging to newcomers without alienating the messaging service's most loyal users. He already had to quell an uprising last weekend after news of revised timeline leaked out and triggered an avalanche of posts with the tag "RIPTwitter." By making Twitter easier and more engaging to use, Dorsey is also hoping the company can sell more advertising so it can begin to make money for the first time in its history. The San Francisco company is scheduled to release its financial report for the final three months of last year after the stock market closes Wednesday.